Department store retailer House of Fraser has added another element to its multichannel strategy with a new mobile website, which has been optimised for a range of devices. 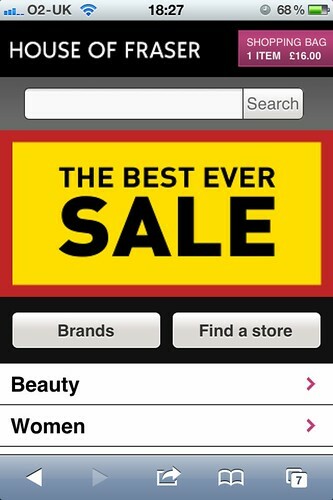 The mobile site has been developed by Usablenet, also behind the mobile sites of Tesco, M&S and John Lewis. The product categories are shown in a vertical list, the search box is in a prominent position, as are links to the store locator and shopping basket. This is a simple layout, and once which makes it as easy as possible for visitors to scan the page and find the links they need. Navigational options are good, with a list of categories on the homepage leading to another page showing the various sub-sections. Product pages on mobile can be tricky, as they need to show customers enough detail about the product while keeping the page simple to use and quick to load up. The House of Fraser mobile product pages are a good example of this. The page is well-designed and laid out, with good information and a clear call to action. Registration is not compulsory before shoppers enter the checkout, which is a good idea on a mobile site, as it speeds up the process. One of the potential barriers to purchase on mobile sites is the hassle of form-filling, and this site has made data entry easy with well-designed forms. Features such as postcode lookup tools make address entry painless, while if you make a mistake, error messaging is clear, with instructions provided at the top of the page as well as next to the data entry box which requires correction. There are a couple of small issues though. If you choose the collect from store option, you need to select your store from a very long drop-down list. This could be made easier by asking customers to enter a postcode or location. Also, once you have selected ‘buy and collect’ you still get a message about Christmas delivery. This is irrelevant now, and slows the process down. The House of Fraser mobile site is an excellent example of mobile commerce usability. It is simple enough to use, quick to load, and easy to navigate. However, it still provides enough functionality so that customers can find the information they need, see multiple product images, and browse the full range of products from the main House of Fraser site. 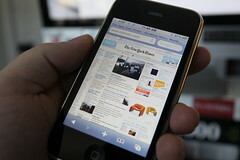 Despite its obvious potential, mobile has arguably been overhyped for years. So it’s not exactly surprising that many businesses have held back on their investment in mobile. 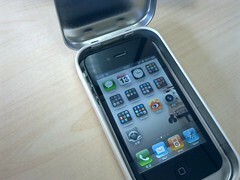 But for retailers, both online and offline, that are still skeptical, 2011 may be a good year to take the plunge. That’s because according to a survey conducted by SapientNitro, consumer habits finally caught up in a big way with expectations and hype last year.